We are already half way through the Blog Party! A few lucky people have already won some great giveaways and there are still more giveaways to be won! I created this gift card holder with the Sizzix Gift card holder pop up Bigz Die. 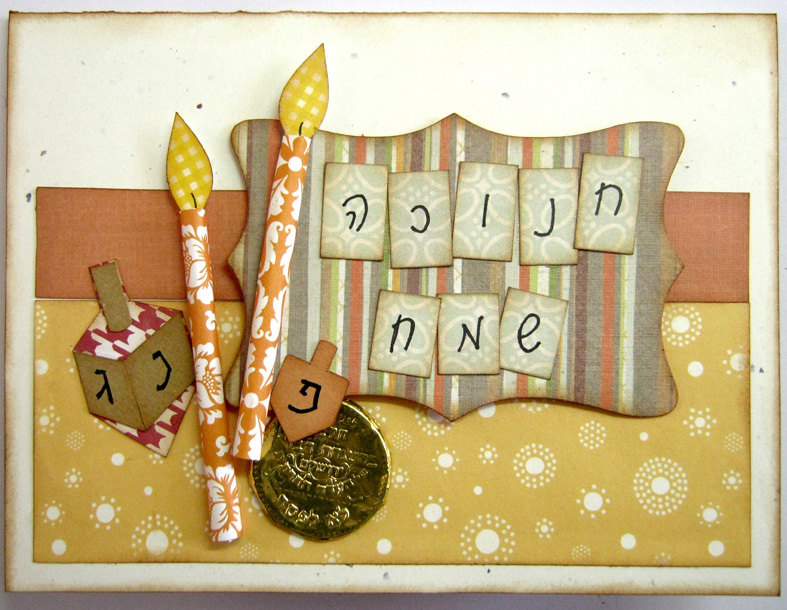 I made it for my mom for Hanukkah and intend to give it to her as a card with another gift. 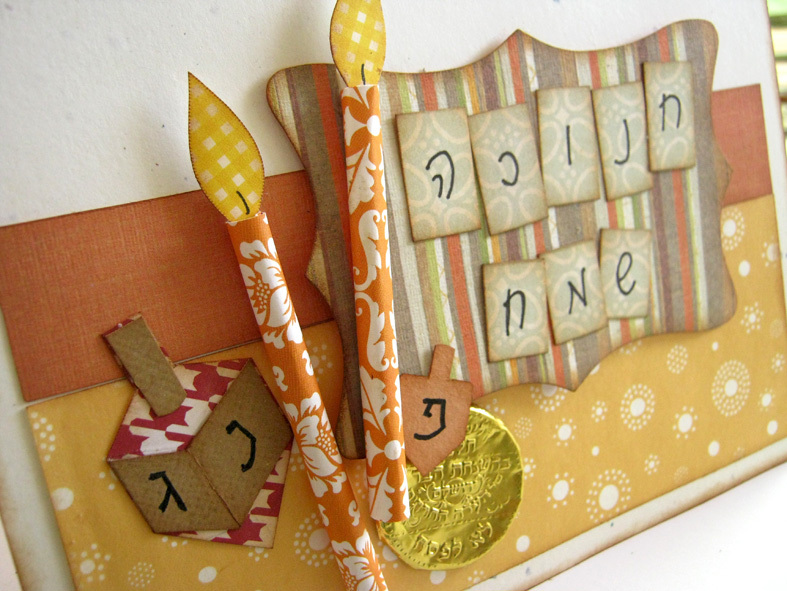 You can make this card for any holiday or occasion, simply by using different papers and embellishments. Day 6 mission: (if you choose to accept it) is to share who is the most difficult person for you to buy a gift for. Post it on your blog, on FB, on message boards, anywhere on line you want with a link to the Blog Party. Then go back to my blog and write a comment with a link to your post. 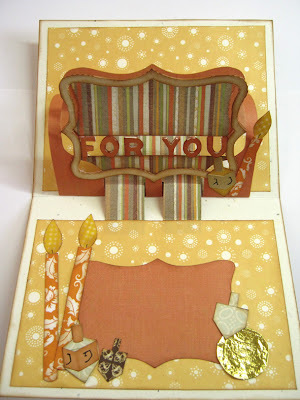 Day 6 giveaway: today's winner will get 5 cards like the one I used, already cut and ready to use! Yey!! Fun - I'm glad to be the winner of yesterday's party - Thank you. The gift card holder is beautiful!! I love the way you incorporated the chocolate cover in the design. Love the card - the candles are so cute! 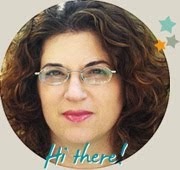 I'm following your blog, and I tweeted today's mission - http://twitter.com/#!/JenClark74/status/144243831792074752. Very pretty. i like the rolled, 3D candles. Beautiful, but subtle, warm colors.